Web Desk: In a desi society, there is a certain stereotype especially for brides like a heavily embellished red dress, a substantial amount of jewelry and a face full of makeup. 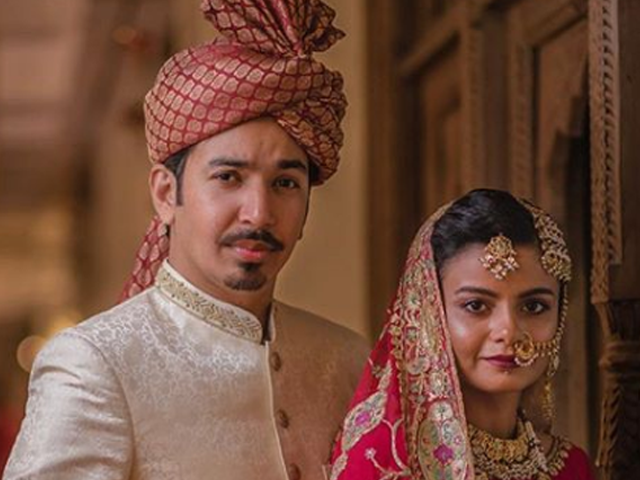 Pakistani Youtuber Taimoor Salahuddin, best known as Mooro recently got married. He shared his wedding pictures with his followers and fans. His wife Iraj caught everyone’s attention. She looks gorgeous in a red lehenga and a substantial amount of Jewellery but her dark complexion was noticed the most. People are appreciating the YouTuber for breaking stereotypes of marrying a ‘gori Dulhan’.